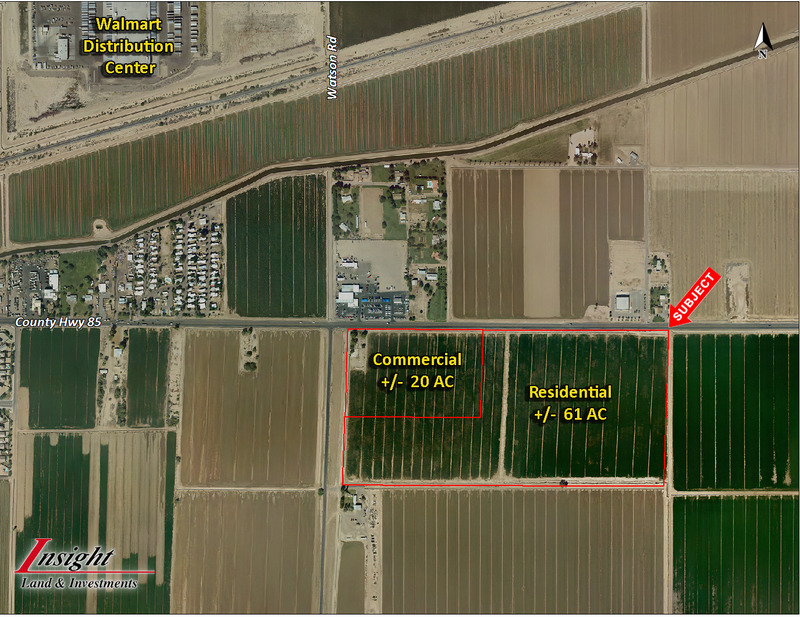 Excellent location in Buckeye, with ½ mile of frontage on MC-85. Farm lease in place that pays $17,000 per year. Great long term investment.